I recently read an article on CultureMap saying that people who visit the Alamo in San Antonio are frequently disappointed because the building is so small. 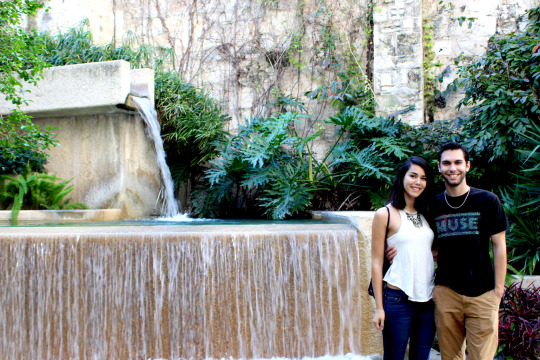 I live in San Antonio, so I don’t really go to tourist attractions unless it’s a special occasion or for special people; like when my cousin and his girlfriend came from Florida to visit for Spring Break. They were only here a week, and I know how hard it is to sight see when you’ve only got a week to do anything. Spring Break is also quite possibly the worst time to go to any tourist attraction because there is a line for everything. 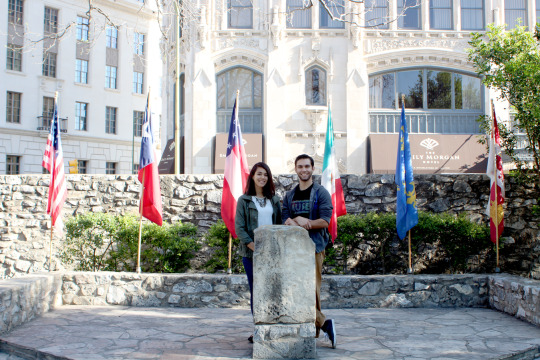 They say 1.5 million people visit the Alamo every year. I’m almost sure 30% of the visits come from that week alone. That’s a rough estimate, so don’t quote me on that. I informed my cousin that if we wanted to see most the stuff worth seeing that we would have to get up because in San Antonio it gets hot fast. The last thing I wanted was to be walking around outside at 11 AM, but that’s what happened. That morning, we got a late start and didn’t get down there until 930 AM. We could have waited maybe an hour in line to see the inside of the Alamo. I figured it would be better to look around the grounds and get some photos of my cousin and his girlfriend. There was also a short documentary about the history of the Alamo which they really enjoyed. When we got done exploring the grounds, we went back to the front to see how long the line and it had tripled in length. I wasn’t going to stand in line for 2 hours in the heat. So, we headed for the Riverwalk which is beautiful in its own right. My cousin asked me if I had eaten at every single restaurant on the Riverwalk since I’ve lived here for 23 years and I reminded him that although the Riverwalk is a historic and central part of San Antonio, it’s still a tourist attraction and most of the restaurants are incredibly expensive because, well, they are tourist traps. At the time, my cousin and his girlfriend were scavenging for geocaches and after looking all over the Riverwalk for an hour we only found one. Our next/final stop was the Tower of the Americas. I will admit I’ve only been to once or twice before. We missed the matinee time by 5 minutes. I barely look my own age so I couldn’t pretend to be a senior and they have no resident prices. Probably because it’s not geared towards the residents that live there, but as a couponer, I was disappointed about that. I got some awesome footage from the glass elevator of us going all the way to the top. I also got some cool pictures of the city from the Tower. Then, I started freaking out because I lost my phone, but luckily someone turned it into the ticket booth. So I called my grandma and told her to come get us. All in all, we walked ten miles that day in 100-degree heat. 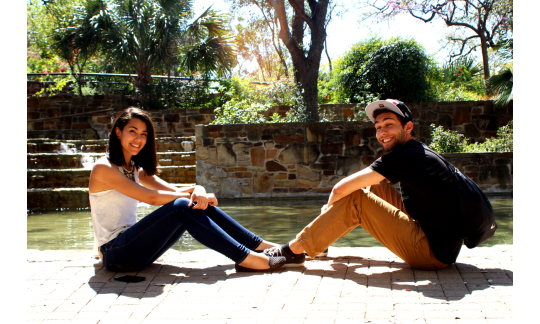 I did a short interview with my cousin’s girlfriend Melany to see how she felt as a tourist visiting San Antonio. 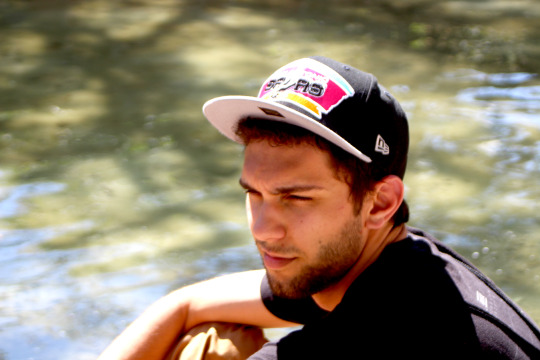 Did you enjoy your visit to San Antonio? Yes, it was beautiful and full of culture. I liked the blend of modern and traditional architecture. 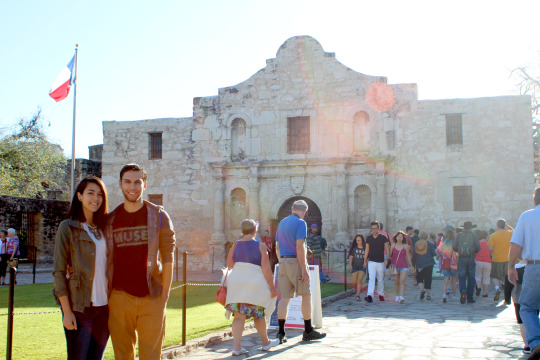 When we went to the Alamo, do you think it made a difference that we didn’t go inside? No. We were still able to reflect on the historic event and appreciate the significance of the Alamo and its defenders. What was your favorite tourist attraction (the Riverwalk, the Tower, the Alamo, etc.)? My favorite tourist attraction was the Riverwalk. I loved all of the greenery. It was beautiful and peaceful with a lot of hidden treasures. 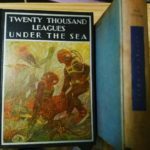 Here are some pictures I took as well.